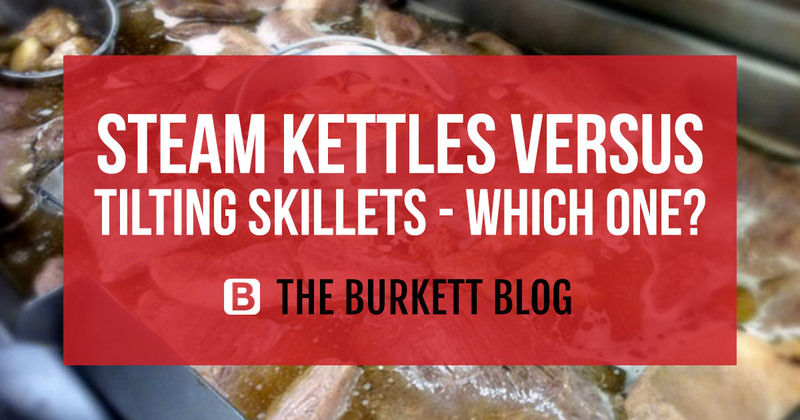 Are you considering a new steam kettle or tilting skillet for your restaurant but don’t know which is best for your business? Both options have a lot of pros. Take a look at the highlights below and contact one of Burkett Restaurant Equipment’s knowledgeable account representatives today! Steam kettles are unique because they cook more quickly than standard stock pots. They are a good spot to heat soups, sauces, and pasta quickly. Cooking is achieved through the steam jacket- a welded space between the cooking surface and the steam source that holds steam and creates a larger cooking surface area. Therefore, steam heats evenly and every serving is the same as the next. Steam kettles come in two varieties- self-contained, in which the steam kettle has its own built-in steam source, and direct steam, where a separate boiler provides steam to the unit. We offer a large variety in steam kettles to suit any need, in varying sizes depending on how much food you are preparing. Tilting skillets are a great space saving unit for smaller restaurants as well as a versatile piece of equipment for larger ones. Tilting skillets allow you to cook soup in one space, scramble eggs, brown meat for chili, and then cook the chili. The tilting skillet is one of the most variable items we sell. Available in countertop or floor models, there is a model to fit your space requirements. They also come in hand-tilt models for the personalized feel or a steadier pour for soups, or power-tilt models for the larger batches of thicker items that are too heavy to pour by hand. A tilting skillet is one of the best things a restaurant can buy because of their versatility and convenience. If you need help making the right choice for your business, give our friendly sales team a call at 844-788-4684. 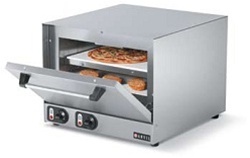 Light Duty Deck Ovens are great for commercial or even residential use, heating a simple pizza to serve a customer or to feed a family. Light duty models are much less intrusive on your space and energy costs, keeping floor space open in any size kitchen for other equipment. 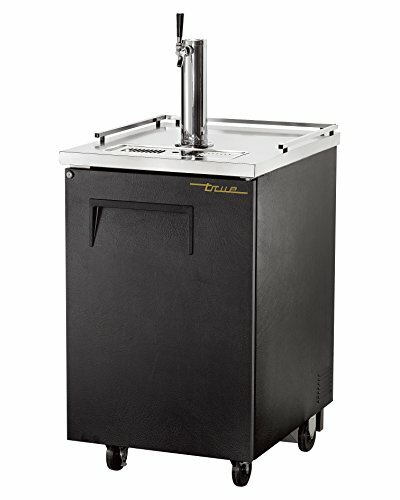 Burkett Restaurant Equipment offers various pizza oven styles to fit your restaurant countertop requirements. We offer deck style, conveyor, and wire rack oven types. 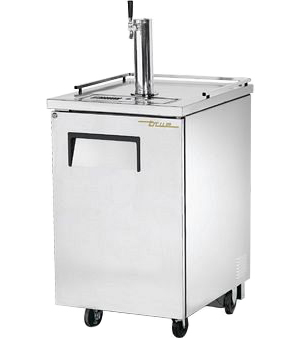 Pizza oven door styles include pull down doors, and drawer-style openings that allow for easy rack sliding and product loading and unloading. Our models range from 4,000 watts up to over 10,000 watts, with BTU options ranging from 40,000 BTU up to 150,000 BTU. 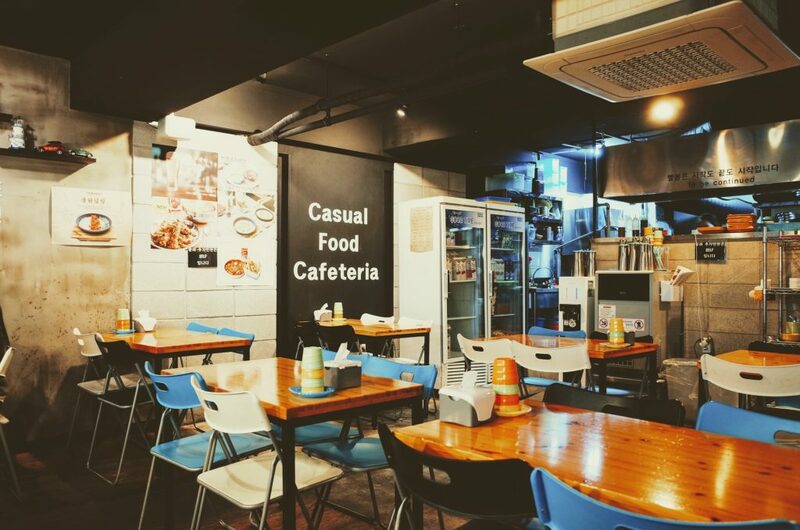 Electric and gas models are available to meet your commercial kitchen’s specific electrical specifications. 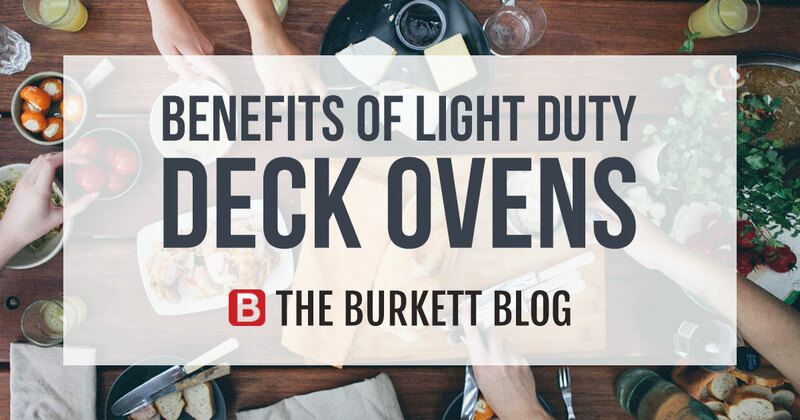 Are you curious about some of the features and benefits of light duty deck ovens? See below for more information. – Durable heating elements provide even heating performance throughout the oven. – Wider oven opening provides more versatility than standard pizza ovens. – Heavy duty chrome plated baking rack. – Removable, stamped aluminized steel crumb tray for easy clean-up. – Ergonomically designed and convenient space saving flip-up handle. 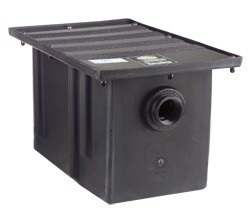 Commercial grease traps are sized according to the rate of incoming flow, in gallons per minute (GPM). Associated with this incoming flow rate is the trap’s capacity. This rated capacity, in pounds, is listed at twice the flow rate. For example, a 10 GPM trap has a rated capacity of 20 pounds. Keep in mind to consider not only how much grease you may generate, but also the size of the bowl on your sink. Similarly to overflowing a funnel, if your grease trap is too small it won’t be able to keep up with the rate of water flow. It is important to size a grease trap larger than calculated (round up to next available size only). A grease interceptor that is extremely oversized will have longer periods between pump-outs. The rotting grease will adversely affect the structure of the grease interceptor. A trend in home kitchens is the use of commercial equipment like the pros use; emulating celebrity chefs can be fun and a great way to practice restaurant techniques at home. Many of these consumers know that commercial equipment can be versatile and durable compared to conventional home appliances. With special considerations, some commercial pieces can have a home within a residence. 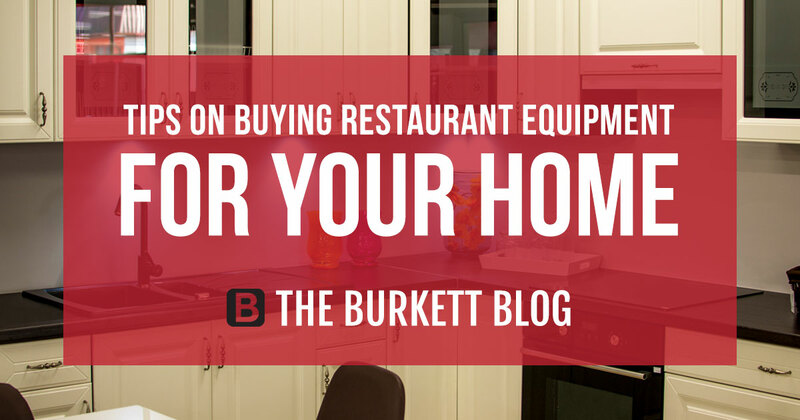 Burkett Restaurant Equipment is a leading dealer for commercial foodservice equipment and supplies that welcomes residential customers, and wants to provide a few important pieces of information you need to be aware of before you start shopping. Commercial equipment is much louder than residential grade equipment, and often utilizes considerably more energy. Commercial equipment requires special clearance, insulation and power sources. Many times your home owners insurance will be voided if commercial grade equipment is installed in your home. Check with your insurance agent or homeowners policy before installing in your home. Manufacturers do not honor warranties when commercial equipment is used in a non-commercial setting. Many of these items can make a home chef comfortable creating restaurant-inspired recipes, and give confidence in their abilities to grow their culinary skills! By simply adding a Vitamix blender or specialty knives, a home chef can take their kitchen to a whole new level. 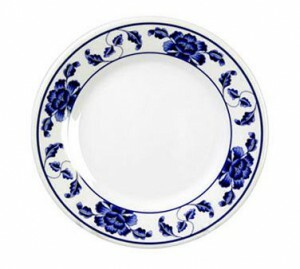 Melamine dinnerware is an economical solution for busy homes and restaurants where traditional china isn’t ideal. Melamine is available in a variety of colors and sizes to match any décor and, better yet, it’s nearly indestructible. If you’re looking for more reasons to give melamine a try, keep reading! Melamine truly is a long-term investment. While it also tends to be more inexpensive than traditional china and other dinnerware, melamine is durable and lasts long – even after continual, everyday use. No more worrying about shattering or chipping your plates and mugs. Melamine dinnerware is a great option if you’re looking to add a little color and fun to your table. Melamine tableware is designed for many occasions and applications; and is offered in a variety of colors and patterns. In addition, many of the brands offer higher end selections that appear like china and ceramic dinnerware, if you’re trying to keep it classy. Thanks to its design, melamine is shatterproof. Melamine can withstand a number of scenarios. Whether you accidentally drop a plate or bowl there’s a good chance your melamine dinnerware will be perfectly fine. An added bonus, melamine is also relatively scratch resistant meaning no more marks from your silverware. Melamine is ideal for cold food displays because of its great insulation. Melamine is ideal for any cold application – salad bars, buffets, deli displays. Melamine also stays cool to the touch, so it’s perfect for nights when you’re serving hot entrees. Melamine is safe for use. It won’t transfer or leach into food product as long it is not heated to 160 degrees Fahrenheit or higher. While it’s not suggested for ovens or microwaves, it is dishwasher safe and meets NSF approval for food safety. 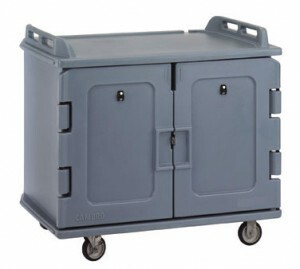 Disposals provide a convenient way to deal with food waste, while improving sanitation in your kitchen. 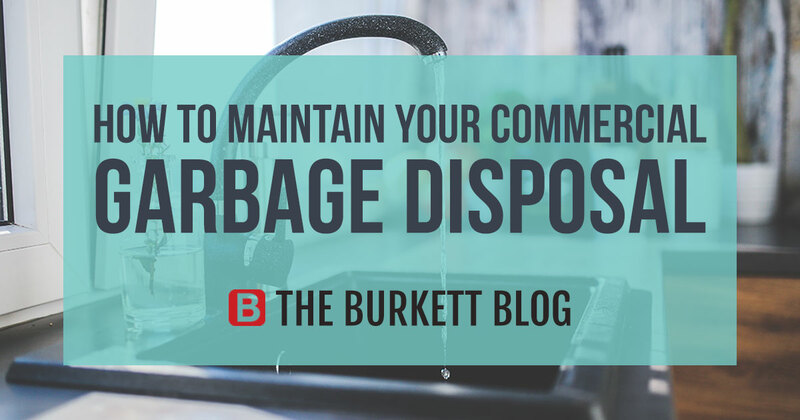 In the name of spring cleaning, here’s a closer look at how to maintain your commercial disposer, thanks to our friends at FES Magazine. 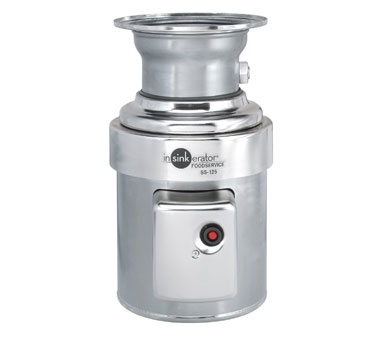 Commercial garbage disposals haven’t changed much since their initial design. Most basic commercial disposals are scaled up versions of residential types and range from 1/2 to 10 HP. While disposals require minimal maintenance, proper use will lengthen the system’s service life. Disposals are simple to maintain, and feature and easy-to-clean corrosion resistant finish. Do not use these systems to dispose fat, oil and grease. Flushing the drain after use will help prevent clogs. Some controls do this automatically. Periodically check your grind plates to help prevent clogs. After feeding waste through the disposer, run cold water for 10 to 20 seconds to push all of the particles to the main sewer line. While some systems just need to be wiped clean, others may include automatic cleaning flush systems that need to be activated on a daily basis. Use cold water to flush waste, since hot water can melt fat and allow it to solidify and block the drain line. So how do you know when it’s time to replace your disposal? Depending on running time, the type of waste being processed, and drain plumbing conditions, a typical disposal can last an average of five years or as long as 20 years. Here are five signs a disposal has reached the end of its service life. Excessive Noise: Unusual or excessive noise, along with water leakage represent a pair of obvious signs a disposal is failing and needs replacement. Drain Backups: This may indicate the blade teeth are worn and the mechanism needs replacing or may signify the disposal is on its way out. Increased Grind Time: Blades wear out over time and when processing an excessive amount of hard material at high volumes. Signs such as increased grinding time or frequent clogging may signify a new disposal is needed. Cracks: Over time, the disposal may develop cracks due to excessive use, chemicals and vibrations. Retire the unit when its construction is compromised. Along with your range and oven, good cookware is one of the most important long-term investments you can make for your restaurant, or even your home, kitchen. A well-stocked kitchen likely contains most of the pieces listed below. 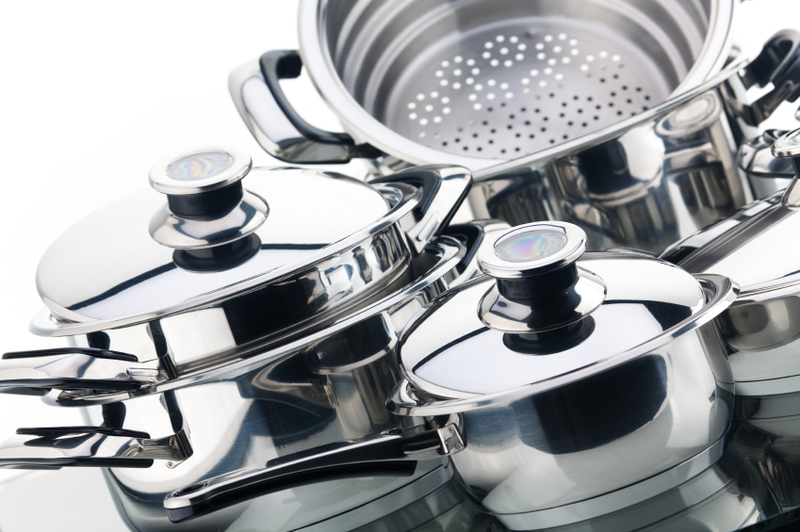 Browse our guide to build your perfect cookware collection. Frying pans have curved side walls for easy stirring and sliding food out of the pan. They’re ideal for scrambling, sautéing, searing, and…well…frying. Their sloped sides prevent steam from forming in the pan. Sauté pans have a wide bottom area for maximum heat conduction. They are ideal for sautéing, searing, deglazing, poaching, and stir flying. Their straight, tall sides help contain food and expose all sides to heat and minimize spattering. Stir fry pans offer deep, curved sides to promote excellent food movement. These flat bottom pans sit level on cooking surfaces as opposed to a traditional wok, which has a round bottom. 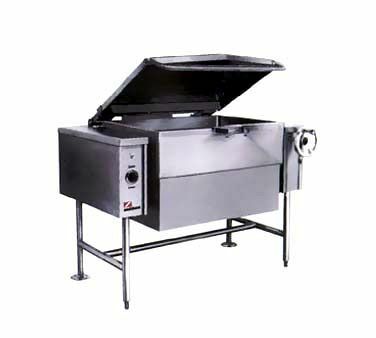 A wide bottom area allows for maximum heat conduction in straight sided sauce pans. They are ideal for creating and reducing sauces and cooking vegetables. 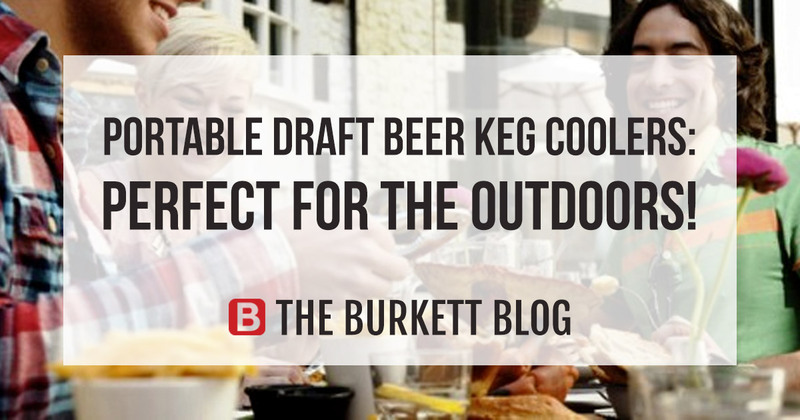 They often come with a lid to control evaporation and accelerate cooking. A tapered sauce pan features a small bottom diameter for less heat exposure. The flared sides allow for good stirring action. Tapered sauce pans are ideal when you need to cook at a lower temperature for a longer period of time. 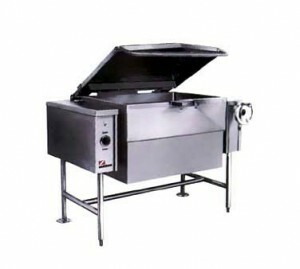 The wide heating surface of braziers allows you to cook meats and vegetables in small amounts of liquid. Braziers are ideal for slow cooking and for hot baths along with tapered sauce pans for melting butters, heading sauces, or for blanching vegetables. With their large diameter and short side walls, they are a great multi-use pot in any kitchen. Sauce pots are shorter and wider than stock posts to make it easier to work over the pot. They feature a wide bottom area for maximum heat conduction and they’re ideal for slow cooking stews, sauces, soups, casseroles, and roasts while reducing the amount of liquid. They often have two handles for easy pouring and movement. Stock pots have a smaller diameter and taller height to preserve liquids longer. Their dimensions force liquids to bubble up through the ingredients, maximizing your flavor. Stock pots offer a thick base for a good slow simmer and are ideal for soups, pastas, bulk vegetables and seafood. A griddle pan is designed to heat or brown foods. It has a wide, flat bottom for a maximum cooking area. Griddles are a great place to cook eggs, grilled cheese, quesadillas, and sandwiches.